The forthcoming GAC Group 2013 ITTF World Tour Czech Open attracted a lot of players. A Major Series tournament, proceedings commence in Olomouc on Wednesday 21st August and conclude on Sunday 25th August. The top seed in the Men’s Singles event is the sensational quarter-final winner over China’s ZHANG Jike, the reigning Olympic and World champion, earlier in the year in Austria, Japan’s 22 year old Taku TAKAKIWA. Christian SÜSS will not defend his title, but there is a major challenge from Germany. Patrick FRANZISKA is the second seed; a young man, who having enjoyed a most successful junior career, is now making inroads at senior level. Next on the list is Japan’s Kazuhiro CHAN followed by the Russian duo of Kirill SKACHOV and Alexander SHIBAEV. On the Women’s Singles list, the top three seeds have all won ITTF World Tour Women’s Singles titles. Viktoria PAVLOVICH, the reigning European champion and top seed in Oloumoc, won in Minsk in 2008; whilst LI Jiao of the Netherlands, the second seed, succeeded in Slovenia in 2008 and two years later in Poland. 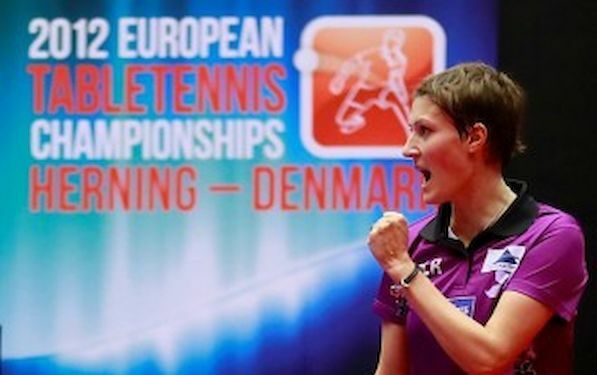 The third seed has the most ITTF World Tour Women’s Singles titles to her credit and is arguably the most motivated; she is the defending champion. Austria’s LIU Jia, in addition to winning in Olomouc one year ago, succeeded in Brazil in 2004 and in Germany in 2008. In the Men’s Doubles event, Austria’s Robert GARDOS and Daniel HABESOHN occupy the top seeded place in the draw with Russia’s Alexey LIVENTSOV and Mikail PAYKOV being the second seeds. In the Women’s Doubles competition it is German names to the fore; Petrissa SOLJA and Sabine WINTER are the no.1 seeds followed by colleagues Kristin SILBEREISEN and WU Jiaduo.